September 14 - 16 with our choreography classes this term. This session, participants will be prepping for upcoming festival performances, so knowledge of previously taught material is an asset as no new technique will be taught. This class is geared towards Intermediate/Advanced students who are up for a challenge. Consider this a Summer Troupe. We will revisit three popular choreographies that have been previously taught and you will have an opportunity to perform them at Kaleido Family Arts Festival in September. The three choreographies we'll be covering are Daret el Ayam, Akir Al Leil (sword), and All About the Bass (Melaya Leff) and if you're lucky, an extra special surprise choreo too! . Students will receive notes & videos for each choreography and we will schedule Kaleido rehearsals for September. Congratulations! You've taken the plunge and have decided to try Bellydancing! This is where it all begins! 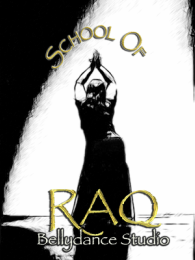 Learn basic bellydance technique and gain a better understanding of this ancient celebration of the female form. Now that you have some technique under your hipscarf, it's time to work on musicality and transitions. We put all the pieces together in a fun choreography that you will have the opportunity to perform at the Kaleido Family Arts Festival in September. *This is the cost of both the Technique and Choreography class COMBINED. Select this if you intend to take the Technique class AND the Choreography class.